On August 2, 1813, Major George Croghan successfully defended Ft. Stephenson from an attack by the British and Indians under Colonel Proctor. Fort Stephenson, located on the Sandusky River in Ohio, was commanded by Major George Croghan and garrisoned with 160 regular army troops. 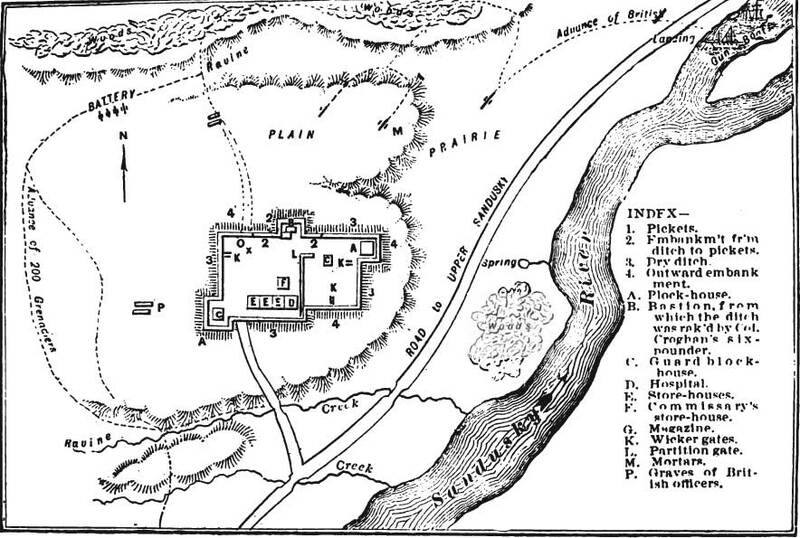 General William Harrison considered the fort unnecessary and ordered it abandoned. Major Croghan refused the command that saying that his men could defend it and that withdrawing would leave his men susceptible to attack. On July 31stBritish ships and troops commanded by General Proctor arrived at the fort. They demanded that the fort surrender, and if it did not the British would leave the defenders in the hands of the Indians. Croghan refused. On August 1stthe British opened fire on the fort. They fired through the night, but their bombardment left no mark on the fort whose walls withstood the attack without a problem. The next day the British and their Indian allies launched a ground assault. The Americans waited until the British and Indians were 100 feet away before opening fire and caused the opposing forces to retreat.